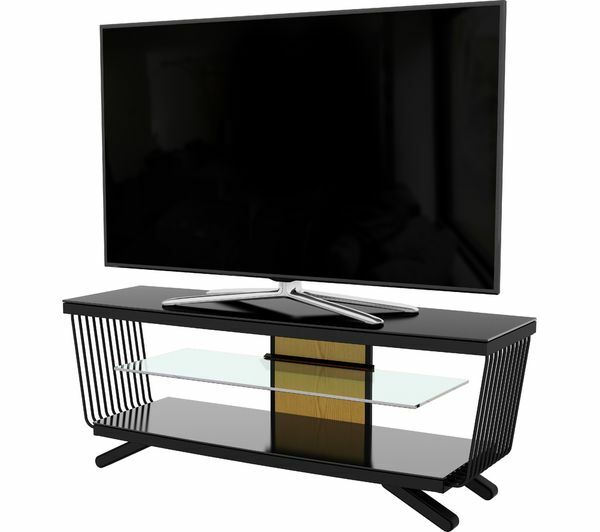 Create your ideal entertainment setup with the AVF Flow 1250 TV Stand. 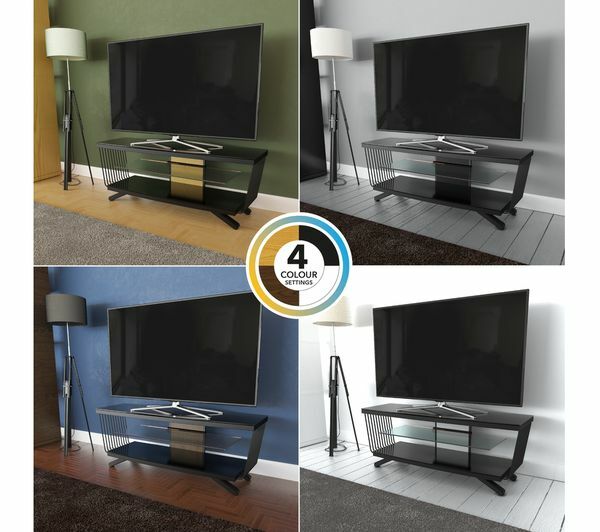 Suitable for TVs up to 55" in size with a maximum weight of 45 kg, the Flow 1250 has four different colour options included in the box, so you can find the ideal match for any room. 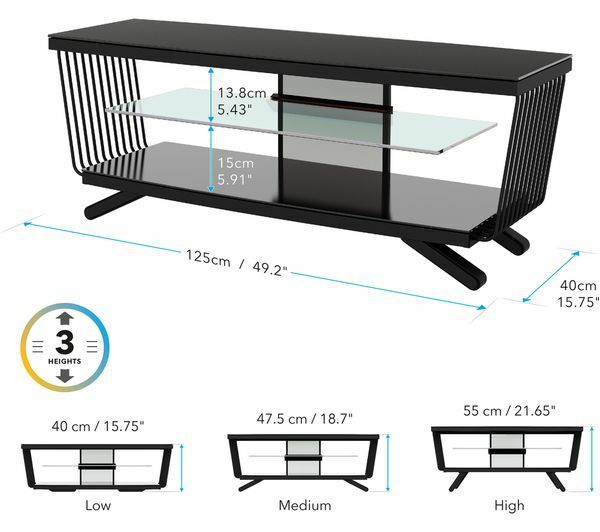 Choose from three different height settings to find your ideal viewing angle, while the open design provides greater airflow to keep your games console and Blu-ray player cooler. 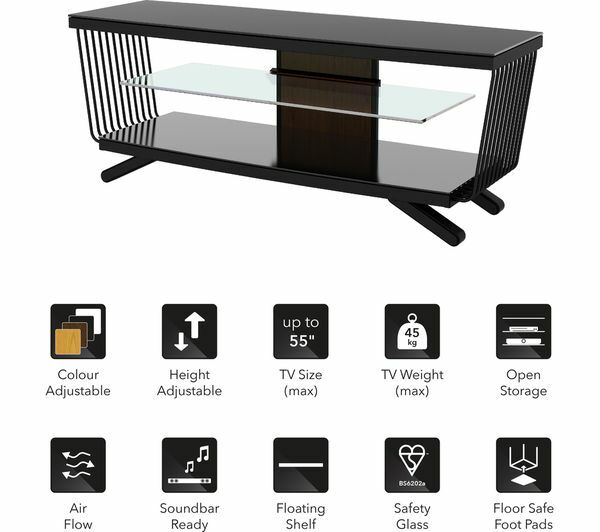 Had lots of lovely comments on this TV stand. 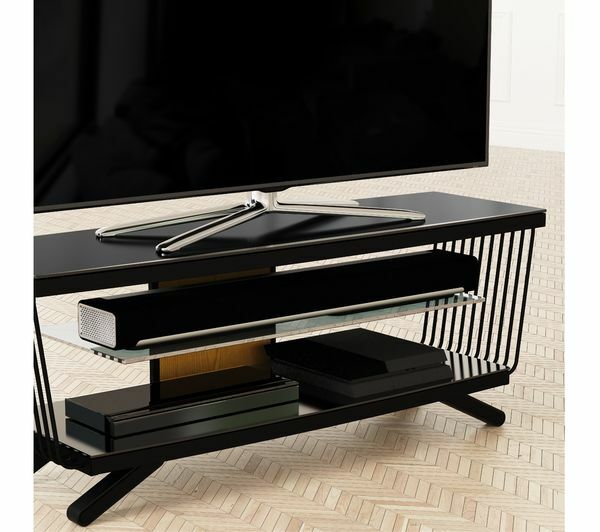 Very stylish and modern. It would of been even better if the price was a little lower. Looks great. 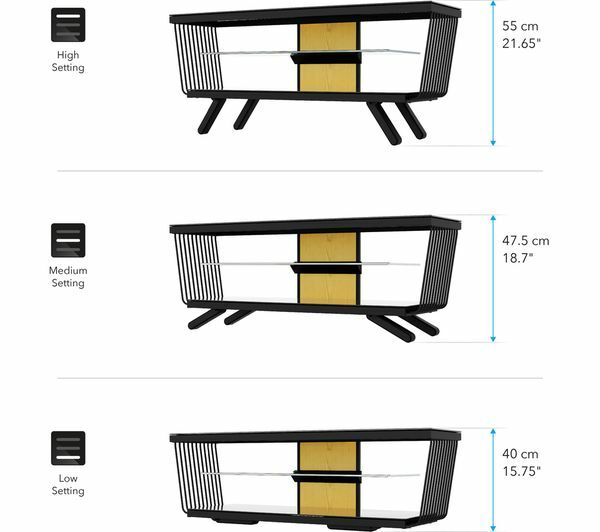 The changeable options make the unit very versatile. 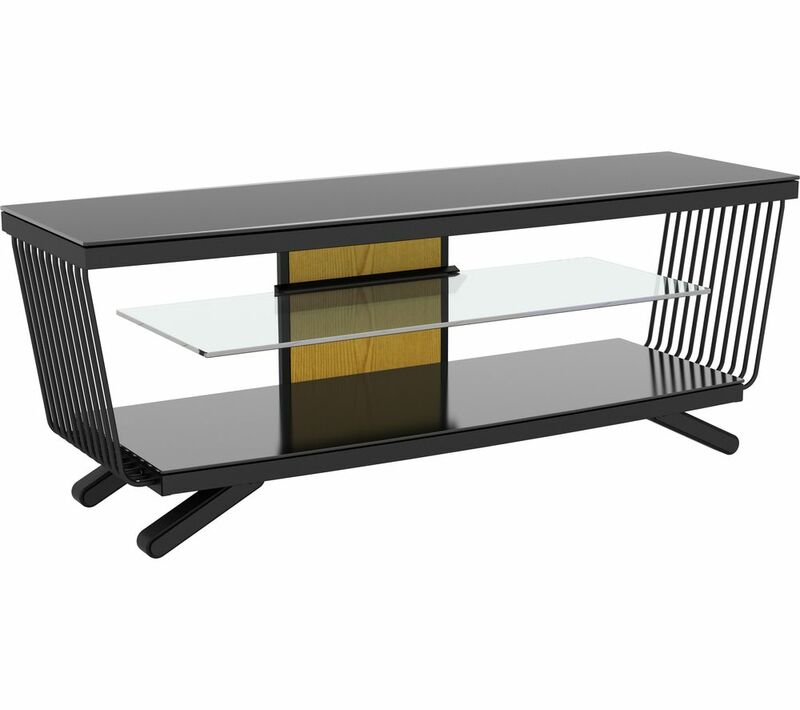 It looks good and the price was reasonable .